It is good to step out of your comfort zone sometimes and try new products. On a few occasions, you might regret buying the product but, you might also end up loving the product. Aveeno Active Naturals Daily Moisturizing Lotion is one such product. Aveeno launched this product claiming it relieves the problem of dry skin problem to a great extent. For the Indian skin and climate, the Aveeno Daily Moisturizing Body Lotion does sound revolutionary. This lotion, along with the Radiant daily moisturizing lotion and cleansing pads make for a wholesome skincare regime. The product was launched in three size variants. A 240 ml variant in a tube package and 360 ml and 540 ml packaging in a pump variant. The outer color of the body is pristine white with the olive green color thrown in on the caps and the bands. The front of the bottle has the product name and the skin types it agrees with. On the back are the product specifications, ingredients and a guide to how to use the product. All in all, the packaging is rather boring with nothing striking to catch the eye of a first time buyer. The Aveeno Body Lotion ingredients are listed on the back of the tube/bottle. The most active and vital ingredient of the formulation is Dimethicone. Apart from that, the product also has water, glycerine, compounds of alcohol, sodium chloride among other ingredients in smaller quantities. Dimethicone is prominently a skin protectant and it featuring in the lotion mainly contributes in the non-greasy and light texture of the product. What we loved the most about this product is the formulation. Unlike a few other moisturizing lotions in the market, the formulation of this product is light and non-greasy. It is quickly absorbed by the skin and can be applied anywhere on the skin as it is not region-specific. The Aveeno Daily Moisturizing Lotion is also perfect for the face! Despite being absorbed into the skin super soon, it will leave the skin super soft and supple. It hydrates and moisturizes the skin amply and makes for a perfect tropical climate product. Keeping in mind the Indian audience, the lack of a major ingredient is glaring when it comes to this product. The absence of SPF or sun protection formula in the formulation is one thing we are missing sorely. Other than that, if you are cool with using a moderate sunscreen before you apply this moisturizing lotion, then this lotion is a must-buy. The product scores brownie points with its formulation and how it loves your skin. We give it an overall rating of 8.5/10! 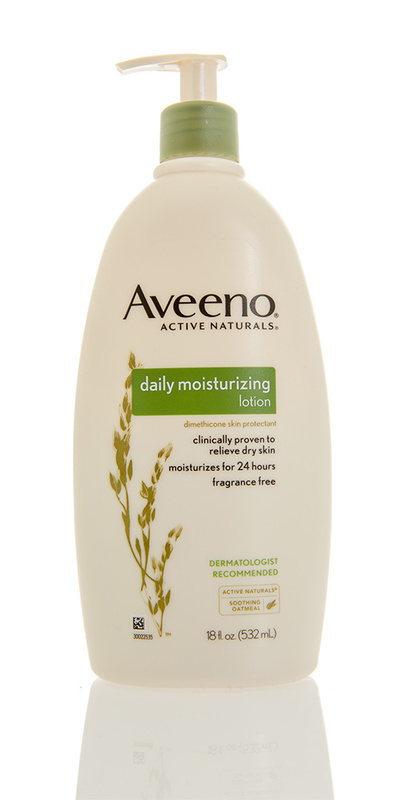 The Aveeno Active Naturals Daily moisturizing Lotion leaves your skin soft, supple and free of a flaky texture. It can double up as a hands and feet cream and also an overnight cream. Normally, we like to stick to a few regular brands when it comes to basic skincare and our daily moisturizing needs but you can trust Aveeno to break that bubble for you. You can go ahead and purchase the product and we are sure you are going to add it to your repurchase list when you are through with the first bottle. Also check MakeupAlley for more product reviews!